GREAT NEWS! 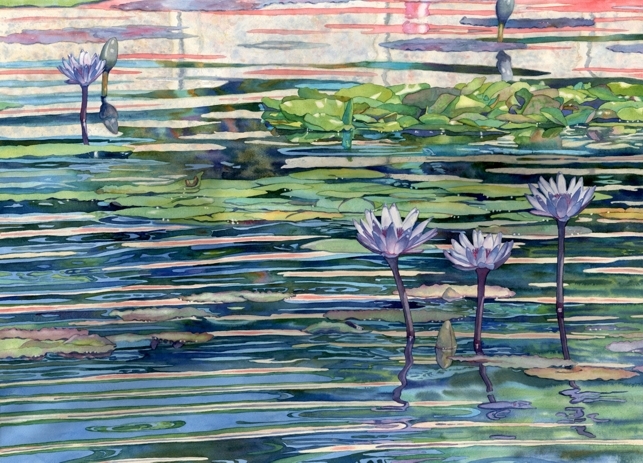 I found out this week that my painting, Stained Glass Waterlilies, was juried into the National Watercolor Societies 91st Annual Exhibition. It was one of 100 paintings selected out of 1,000. 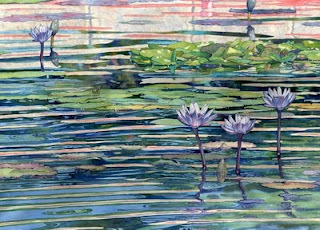 The show will run from October 22 to December 3, 2011 at the NWS Gallery - 915 South Pacific Ave., San Pedro, CA. Congratulations! This is a gorgeous painting. Congratulations...another chance to attain signature status! Congratulations!!!! Such a beautiful work. Thanks so much and keep your fingers crossed for me as a try for signature membership!